When Jared Jaramillo arrived at his East Coast college, the Utah native and first-generation college student felt like he'd entered an "alien world." 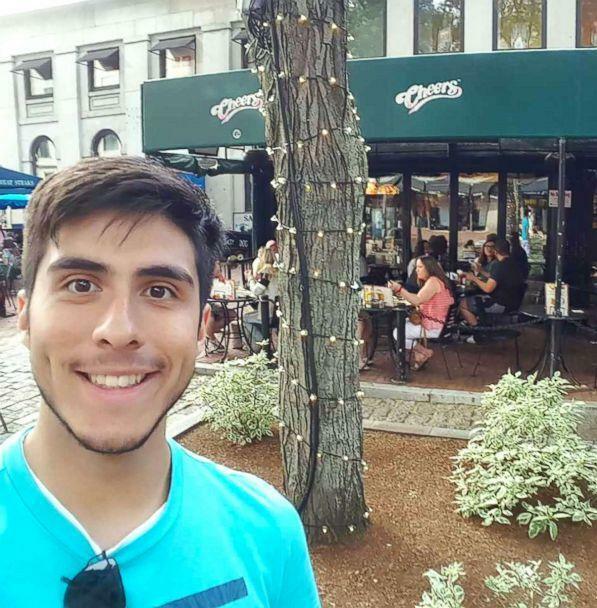 While the 19-year-old excelled at math and science in high school and was admitted to Tufts University's prestigious mechanical engineering program, Jaramillo said that as soon as classes began he "felt out of place." The child of Salt Lake City housekeepers who never attended college, Jaramillo said he felt like a "fraud" on the private college campus his first few weeks. "You feel like the only reason you are there is because somebody made a mistake," he told "Good Morning America," despite being a high academic achiever his whole life. "You feel like any moment you are going to slip up," he added. "You are going to make a mistake so big, and somebody is going to tell you to just go home." 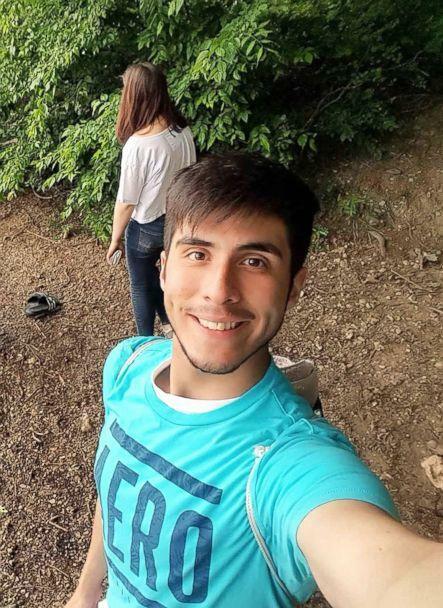 While Jaramillo described feeling isolated, his experiences as a first-generation college student are actually part of a common psychological phenomenon often referred to as "impostor syndrome." "GMA" is spotlighting the stories of first-generation college students. Explore our full coverage. Everyone from former first lady Michelle Obama to Facebook executive Sheryl Sandberg have also spoken out in the past about feeling a sense of "impostor syndrome" despite a record of accomplishments. As increasing numbers of first-generation college students flock to campuses this fall, "GMA" spoke to experts and first-generation college students who shared advice on how to overcome "impostor syndrome" and succeed. Jaramillo said that there was a "very extreme learning curve" during his first few weeks of college. "I never had anyone to explain what that was going to be like," he added. "I definitely stressed a lot about grades, about feeling like I didn't fit in." The feeling of not belonging hit especially hard during a general requirement English class. "I always liked writing," he recounted, "but the moment we started discussions in class, I felt immediately out of place. These people seemed a lot more experienced." "I'm Hispanic, my family is Hispanic and every person in that room of 18 or 19 people was white," he added. "That is something that I definitely noticed. I don't know if they did." 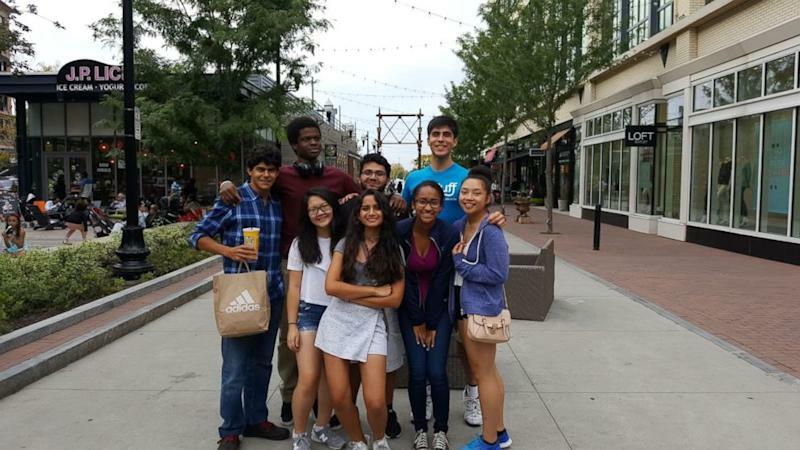 "I feel like what definitely helped me get past my sense of 'impostor syndrome' was finding that community where everybody felt the same way," he said, adding that he joined a program of fellow first-generation college students. "Seeing such brilliant people struggle in the same way that I did, it made it feel like it was all right to feel that way, it made me feel like I wasn't failing," he added. "Seeing other people struggle just made me feel like I wasn't the only one." Jaramillo said he wants to encourage other first-generation college students to know that they are not alone and to not be afraid to reach out for help. "If you come from a similar background as me, perhaps you didn't have other people around you who went to college, nobody was able to tell you what classes were going to be like," he said. "My advice would be if you come from that background, you need to find people who can help you fill in those gaps." Recognizing and overcoming the feelings associated with "impostor syndrome" can be crucial for first-generation students, who are less likely to persist through the first two years of college than their peers with parents who attended college, according to a 2017 report from the U.S. Department of Education. Dr. Neil Bernstein, an adolescent psychologist, described the "impostor syndrome" that many first generation students feel as "almost the opposite of entitlement." "The word teenagers would use is that they are a 'poser' -- there is a fear of being discovered," he added. "They feel their accomplishments won't last, they’ve just been lucky." Bernstein added that he was the first in his family to go to college himself and recounted "feeling embarrassed that people would see through me because my great-grandparents were immigrants." His advice to those who may be struggling with "impostor syndrome" is to not ignore those feelings. "It is really important that what we feel inside and what we present outside are similar," he said. "Because the greater the discrepancy between what we feel on the inside and what we present on the outside, the more angst we feel." Most important, for those suffering from impostor syndrome, is, "They need permission to be themselves." "We have to be honest about who we are," Bernstein said. "We have to be honest to ourselves." 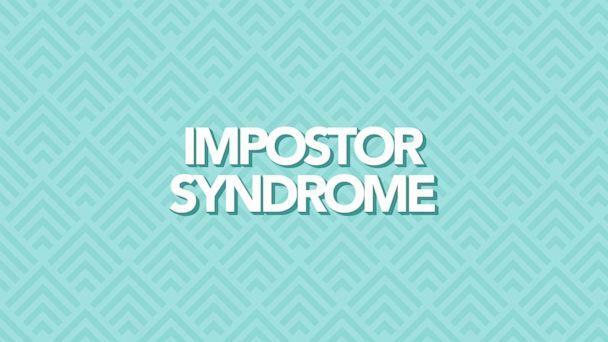 Here, Bernstein breaks down his top tips for "GMA" on how to overcome feelings of "impostor syndrome." Know that "you don't have to be perfect, and that what you've achieved is something to be proud of," Bernstein said. "Don't be embarrassed about your background," he added. "Know that in some ways your background helped you to get where you are." He also recommended viewing your background as a "strength," and to remember that "you’ve done this well all along, there is no reason to assume the worst -- that you're going to be 'discovered.'" Recognize "you are OK as you are, and it's OK that you're not perfect," Bernstein said. "Give yourself permission to feel a little vulnerable or scared once in a while." If you are feeling overwhelmed by negative thoughts, Bernstein recommended an actionable exercise to help fight "impostor syndrome." "Learn how to identify the thoughts that are upsetting you," he said, and "pose the counter argument to that." He recommends making a list "of the scary, negative thoughts you feel" and writing them down and then making "another column of other possibilities" that go against these negative thoughts. Sometimes people who suffer from various anxiety disorders also may experience depression, Bernstein said, and it's important to recognize when you should reach out for help. "A person should ask themselves how much of my underlying thoughts are interfering with my life," he said, and if you feel it is overbearing, he recommends finding a therapist or reaching out to a self-help group. "You'll find that people who have had good role models are less susceptible to these kind of things," Berstein said. "There are lot of famous people out there who have immigrant backgrounds, or came from disadvantaged backgrounds," he added. It's "about how we interpret our own experiences, and it's what we say to ourselves that's really significant." "You can be embarrassed about your background, or you can be proud of it," he added. "Know that you're not alone in what you're feeling," Bernstein said. "There are thousands and thousands of people who feel the same way, and they've overcome." "It's not an unusual feeling to feel like people will see through you," he added. "And it's nothing to be ashamed of -- you don't have hide it -- and there are people in the world that will support you." 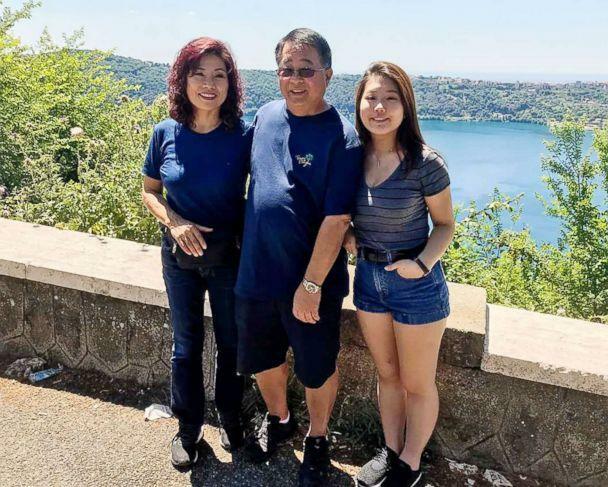 Annette Kaminaka, 21, a first-generation student at New York University majoring in biology on the pre-med-school track, described similar feelings. Born and raised in Honolulu, Kaminaka told "GMA" that pursuing higher education has been a generational dream for her family. While her grandfather only completed middle school and her father only finished high school, her parents always wanted to give her the opportunity to go to college. Coming from Hawaii to New York City, however, was a huge adjustment, Kaminaka said. "The culture in the city was very different, and in general I had a feeling, I had a sense, that the people that I met knew what to do," she said. "They seemed so involved with the school early on. 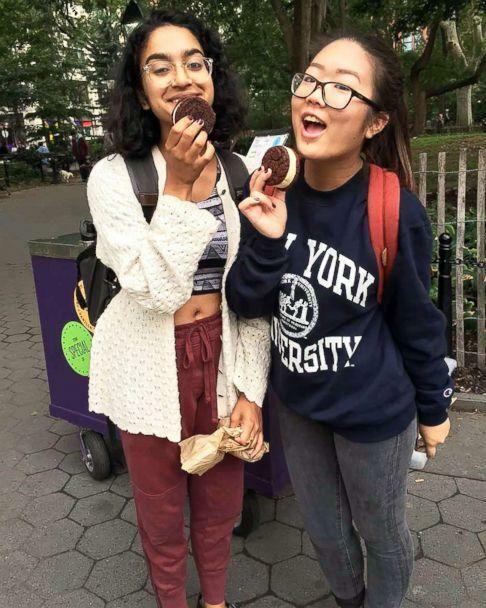 It seemed like they knew how to take advantage of the opportunities NYU has to offer," she said. "There were times when I felt like I didn’t belong." Kaminaka said her biggest piece of advice for first-generation college students would be to "be as proactive as possible, and don't be afraid to ask questions." 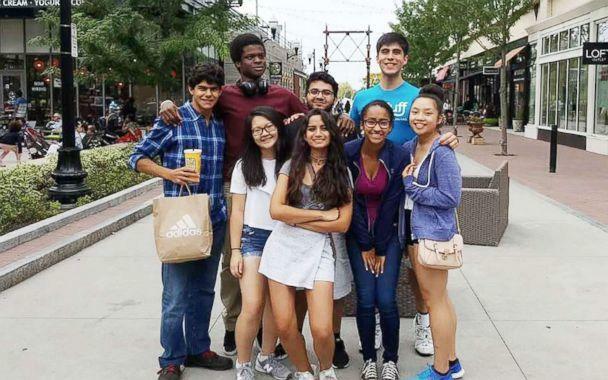 Now a junior at NYU, Kaminaka works as a mentor for incoming first-generation college students to help build a community of people going through similar experiences.